The company is headquartered in St. John's, Newfoundland with offices in Nova Scotia (at COVE); Germany; and the US. Katharine's research focuses on high-resolution climate projections to evaluate the future impacts of climate change on human society and the natural environment. Representatives from remote sensing, marine research, geomatics consulting and governments will have booths at the Geomatics Atlantic Trade Show. Exhibiting at the conference provides valuable opportunities to connect and build stronger relationships with the geospatial community. 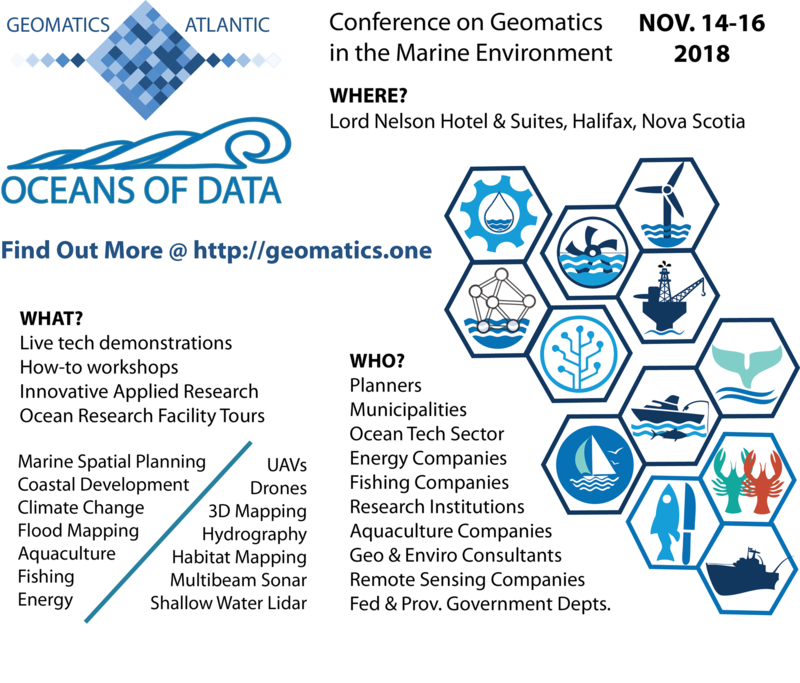 Geomatics Atlantic is more than a just a conference, it is an networking experience where you can promote your products or services across multiple sectors. 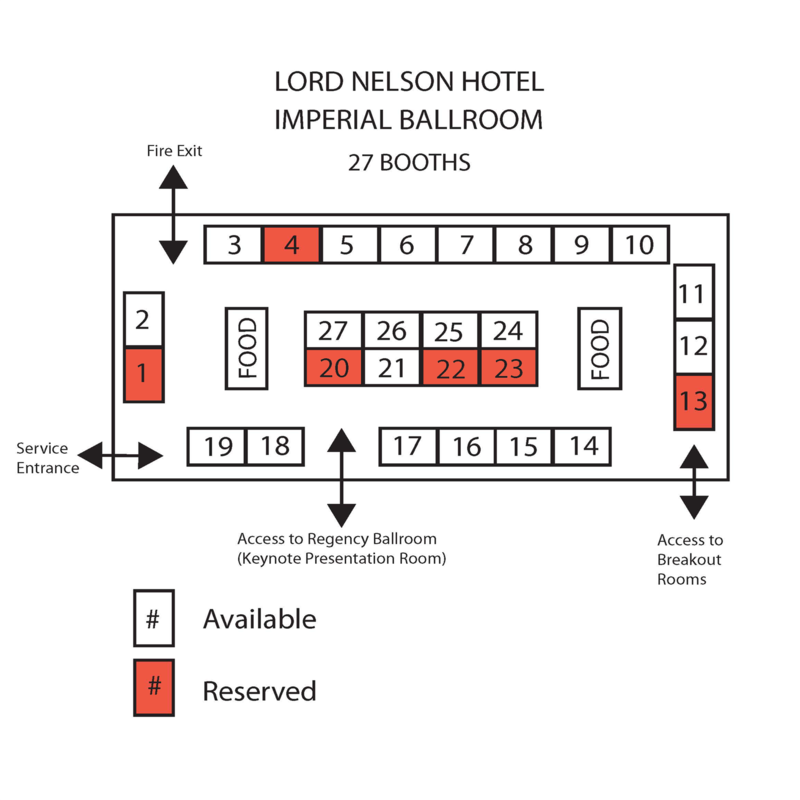 The committee are arranging to have the Trade Show set up so that it will draw in participant traffic, and all breaks and food will be served in this area. Several workshops at various locations (COVE, Dalhousie University, Saint Mary's University, Bedford Institute of Oceanography and NSCC) are going to be offered on the morning of November 16th. NOTE: Pre-Registration for these workshops will beigin in September. GANS has been offered funding through ACOA to put together a summit that could bring together geomatics sector leaders from across Atlantic Canada. 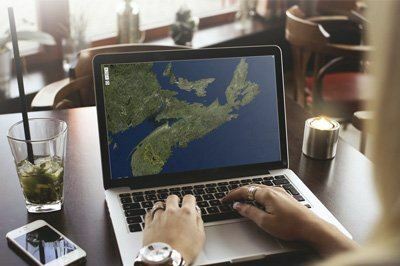 The key reason for this would be to bring together past, present and emerging leaders within the geomatics sector as a means to restructure the geomatics sector in Atlantic Canada through establishing a larger stronger regional association. The proposal submitted was aimed at a 3 year plan, however Federal funding assistance for this project from ACOA has only been provided to assist in the portion of the proposal that is aimed at hosting a Summit, and one of the requirements would be for GANS to provide or fund raise 25% in-kind and cash contributions to the project. Geomatics Atlantic 2018 will be bringing together people from all across the region as well as a multitude of sectors, making this a great opportunity to start such a conversation while getting valuable feedback on the viability and buy-in to this idea. More information about the ACOA funding and this project is available either through the GANS membership area or by contacting the GANS Board. If you have not already done so through the link at the beginning of the newsletter, please fill out the survey to provide your feedback now on whether we should pursue this opportunity. This year there were 34 registered attendees at the GANS AGM that was held May 25th at the Halifax Central Library. Eric Melanson, (out-going treasurer) provided members with a summary report on the annual budget and Ted MacKinnon presented the President's Report that detailed all the organization's activities over the past year and spoke about the potential ACOA funding that could provide an opportunity to help GANS work toward enabling greater regional collaboration in the geomatics sector. The David Keefe Award of Distinction for an individual having made an extraordinary contribution to the geomatics sector in Nova Scotia was presented to Ted Mac Kinnon for all his work with GANS and his passion for promoting and bringing together the Canadian geospatial community. He was both surprised and delighted to receive the honor. James Stephens from Turner Drake & Partners Ltd. provided a presentation on GIS-Driven real estate analysis: A local case study of applied geomatics and Candace MacDonald provided a presentation on the Applied Geomatics Research Group's Bathymetric Lidar system and all the cool projects that they have been working on. Hugh MacKay, MLA for Chester-St. Margaret's also took the time to share how things are going with the Provincial Government, he shared how it is not always important topics like education and health care that concern voters, but most of the time hot topics are more related to pot holes and will are the roads going to be fixed. He also ensuring members that he has not forgotten his geospatial roots and has been was discussing opportunities with the Premier of Nova Scotia that could once again become leaders in Geomatics. After a last minute rescheduling, due to one of those lovely early spring snowstorms, we had a small but very inspiring workshop at the Halifax Central Library (April 5th). 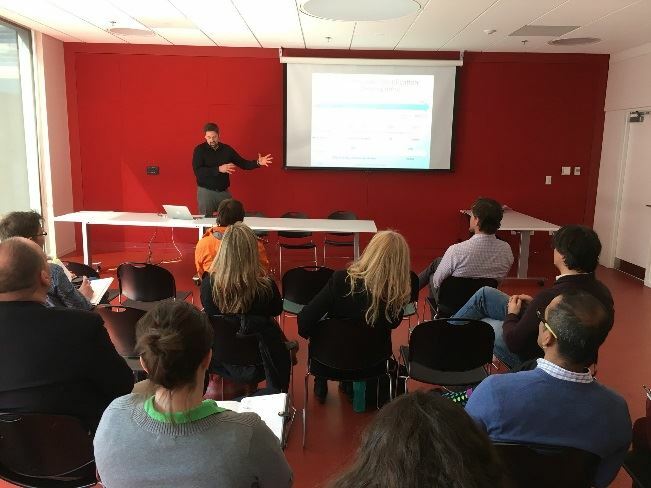 The dozen attendees learned a lot about the GIS Professional (GISP) certification and Esri Professional and Associate Certifications from our panel. We also heard about the learning opportunities available at Dalhousie and NSCC as they pair GIS with other disciplines. This year's GANS golf tournament was cancelled due to unseasonably poor weather and subsequent low registration. Thanks to those that signed up, hopefully we will have better luck next year! Did you go to high school in Nova Scotia and are now working in the geomatics sector? We want you to be part of our educational posters! Over 25 individuals have already contributed and you could be next! 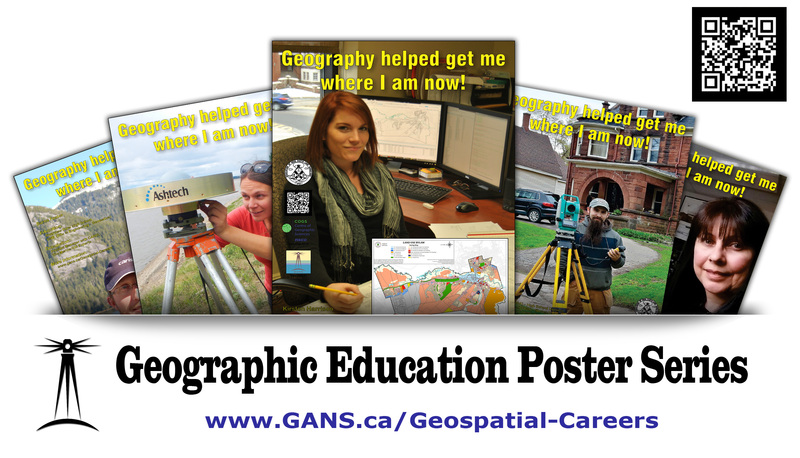 The GANS Geographic Education Posters are created to help young people identify some of the endless possibilities that learning geography provides, by highlighting the various different geography related post-secondary education programs and geospatial related career opportunities available. 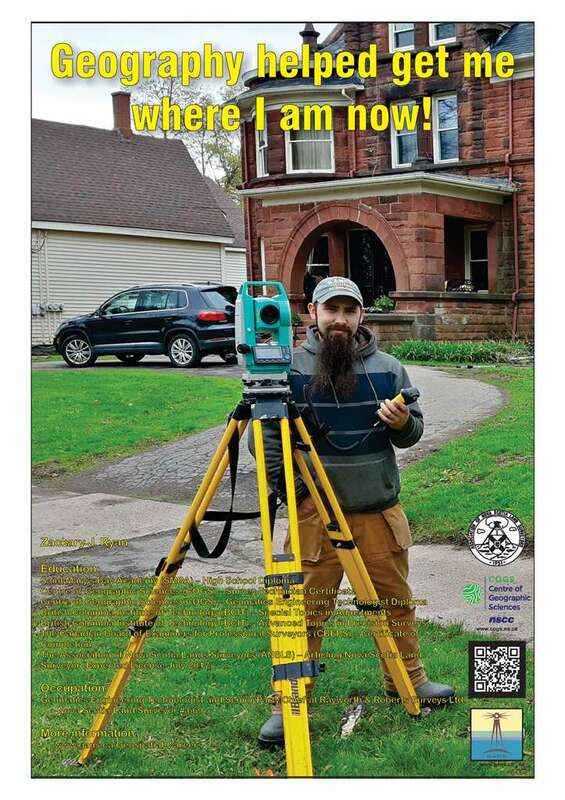 All the geomatics related professionals featured here are graduates from various Nova Scotia high schools and have followed a variety of post-secondary paths, including both colleges and universities, to get where they are today. - Geography Matters! Each poster is also accompanied by that featured persons story on how Geography has helped them get where they are today, so if you have not done so already, then we encourage you to go to the posters page and click each poster so you read all the great geography inspired stories. 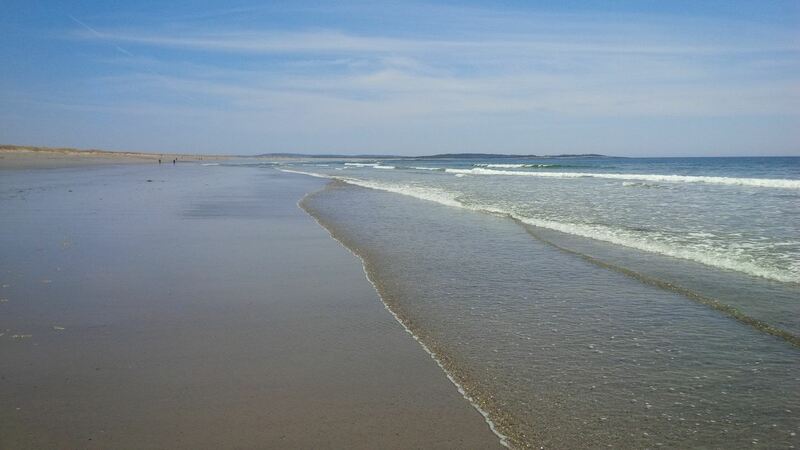 And share these links with any of your friends and or colleagues within the geospatial community that may not be on the GANS email list, Geography is important and together we can make it a priority for Nova Scotia Education.